This week’s questions for Cee’s Life Photography Blog resulted in some interesting and thought-provoking rumination. At what time in your recent past have you felt most passionate and alive? — Last Saturday I showed my horse for the first time after buying him as a yearling. It’s been a very rewarding yet long road from age 1 to 5, and in between there have been many ups and downs. But actually walking into the show ring sitting on his back and having him confident and trusting in our relationship was just such a recent moment. What individual item of food would you not eat, even if it was served to you at the Queen/President’s dinner table? (Something ordinary.) — I’m not sure when or why it happened, but I just cannot stand the taste/texture of ham, so that would be left on my plate untouched. If you could choose between Wisdom and Luck, which one would you pick? — Wisdom, for sure. For if you have wisdom you are likely smart enough to create the proper environment for good luck to follow. What was the last time you went to a new place? 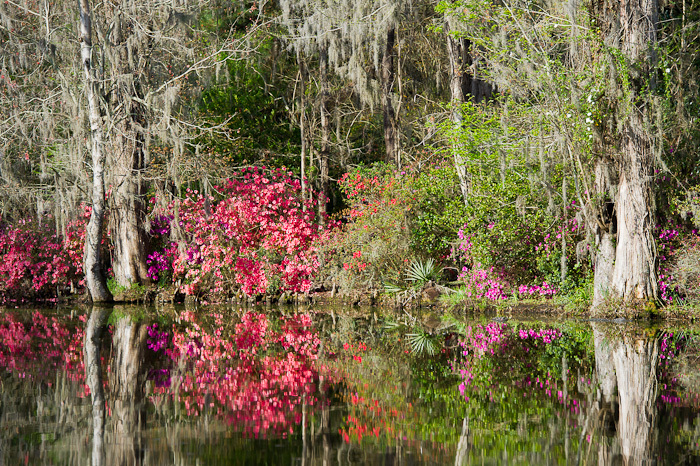 — A few weeks ago I went to Magnolia Plantation and Gardens in Charleston, South Carolina. It was such a wonderful place to photograph that I plan to return on a regular basis. Luck is simply the result of hard work, so my wise old grandmother told me.